Helping businesses integrate and maximize mobility in their organizations through technology and brand experiences. Employers are always looking for new and different ways to reward employees and celebrate successes. A trend that has been rising in popularity with our clients is using customized devices as part of its employee rewards program. Or simply planning a surprise holiday gift as a reward for all of your employees. 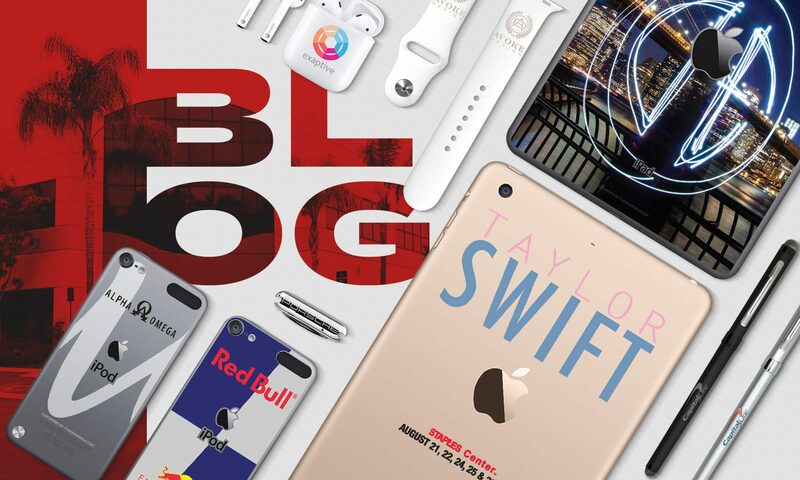 Any employee gift can be taken up a notch with customization – custom printed Apple Airpods for employees to listen to music quietly at work, a customized Apple Watch with laser-etched company name, or even a branded drone that is guaranteed to wow the recipient. 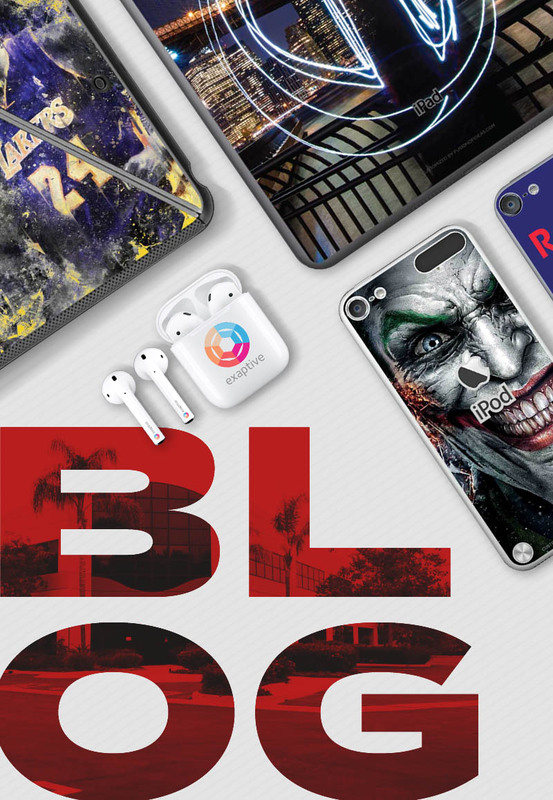 FUSION OF IDEAS has pushed the boundaries of creativity by customizing a wide range of devices, from headphones and portable speakers to game consoles and cameras. The possibilities are truly endless. What can custom-branded devices do for your business? Apple CEO Tim Cook took center stage yesterday at the Steve Jobs Theater in Cupertino to announce the release of several Apple device updates. 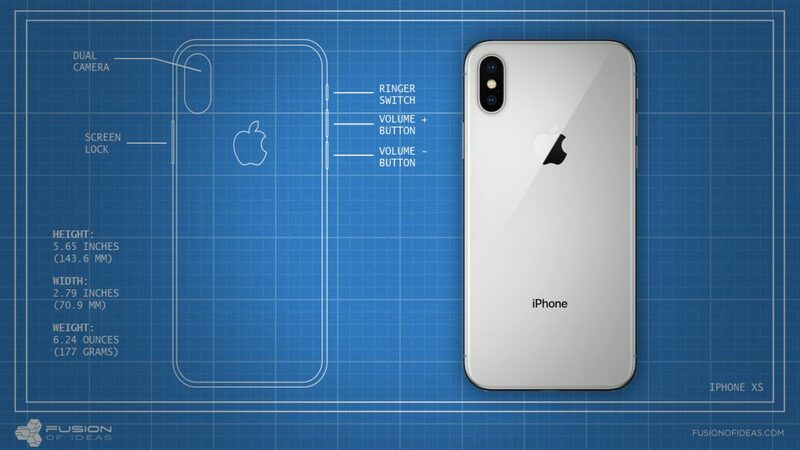 If you were on the watch like us, you know there will be three new iPhone models building off of the company’s 10th anniversary iPhone X: iPhone XS, iPhone XS Max, and iPhone XR. Additionally, Apple Watch Series 4 will feature a larger display with a slightly thinner body, along with some cool features like heart monitoring and haptic feedback on the crown. 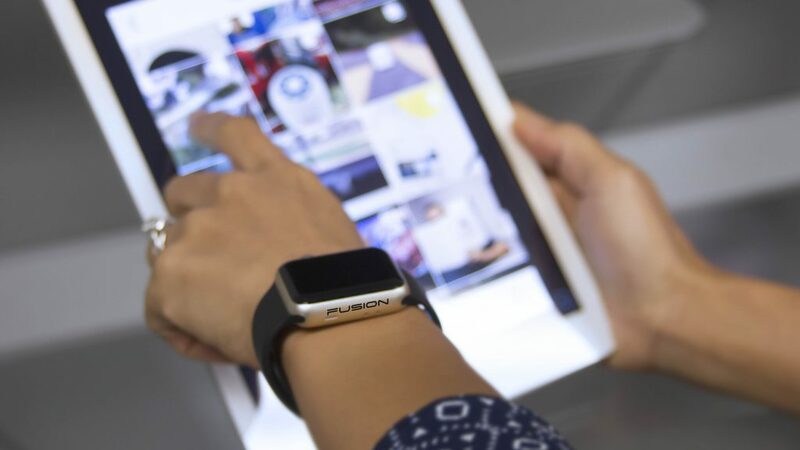 Announcements of new Apple products, or any new mobile tech device, mean one important thing to us at Fusion of Ideas: we’ll be researching and presenting our customization offerings for the shiny new devices as soon as they hit the market. The art of mobility is clear with every touch point of the customizing experience. And members of the Fusion of Ideas customization team are seasoned pros at figuring out the specs for new devices. Even when the new device is similar to an existing one, measurements accurate to hundredths of an inch must be taken to create a spec file that will be used for production. We also run tests and research on the materials the device is made out of – even a slight change to the type of metal or glass can change the way we approach customization. Most importantly, our color and laser customization process allows us to brand devices with high-quality graphics while not voiding Apple’s device warranty. We’re excited to dive in and present custom options specific to these new devices. Stay tuned for more information as we await the release dates. As summer winds down, many of us are reminiscing about sunny vacations in idyllic destinations. One of our favorite app development stories comes from the Grand Vacations division of Hilton Worldwide, a household name in hotels and resorts. When we first connected with Hilton, they were seeking to create a piece of technology that was both a gift to their timeshare owners, as well as a continuous branding vehicle for all of the Hilton Grand Vacations offerings. 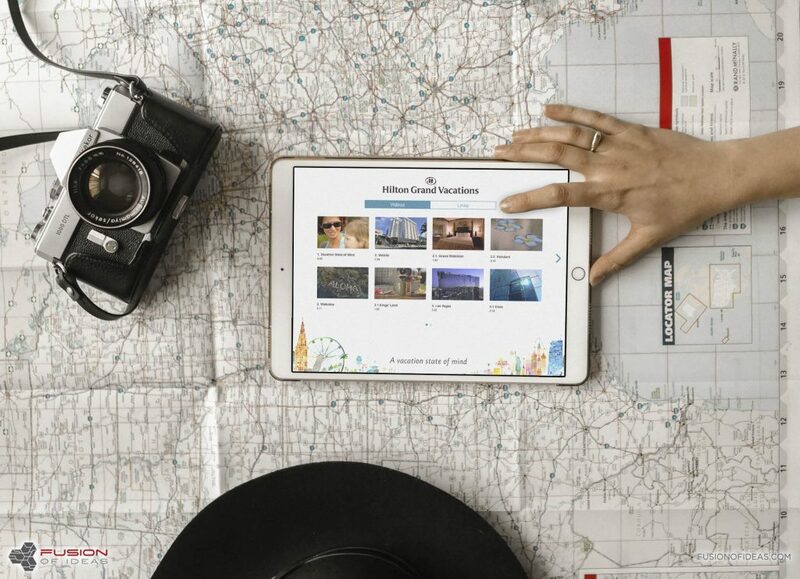 The Fusion of Ideas development team worked with Hilton to build a custom iOS application showcasing videos from various resort locations, links to other Hilton programs, and information about the timeshares. The finished app was loaded onto custom iPads featuring Hilton Grand Vacations branding on the lock and home screens, Smart Covers, sleeves, and the etch on the iPad itself. Our second encounter with the Hilton organization was a project for their newer brand of affordable hotels, Tru by Hilton. The goal was to create an aid to hotel General Managers, who could use the app to upload audit reports and view videos, images and PDFs pertaining to their specific location. Our DCS solution turned out to be the ideal strategy for this app – the client was provided with an admin portal, where they can update and adjust the content being displayed to the GMs. As with the Grand Vacations project, the team at Fusion loaded the app onto iPads with custom print and sleeves. Customer satisfaction and a good employee experience are two things we can relate to, and we were lucky to have the opportunity to work with Hilton brands on their efforts in both areas. This combination of Fusion solutions – custom apps with custom branding – can be a fitting complement to the polish and professionalism of the hospitality or any customer facing industry.